Since the 1940s, airships have mostly been relegated to novelty use such as advertising or giving cameramen a place to film sporting events from. But dirigibles are coming back into use, as evidenced by the fact that the U.S. Navy started flying them again in 2006 and several private companies are working on plans to launch their own airships. 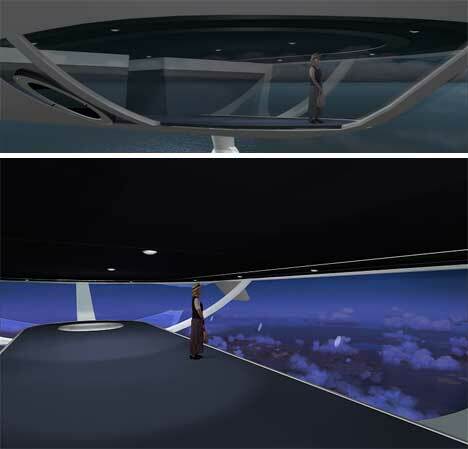 One such company is E-Green Technologies, which recently announced their development of the largest existing airship. They plan to launch the Bullet 580 in late 2010, and when they do the craft will have some special cargo. NASA and Old Dominion University in Virginia will have a soil moisture experiment on board the Bullet when it embarks on its first journey. The ability of airships to hover for long periods of time is especially useful for scientific experiments, and this isn’t likely to be the last experimental payload E-Green carries. 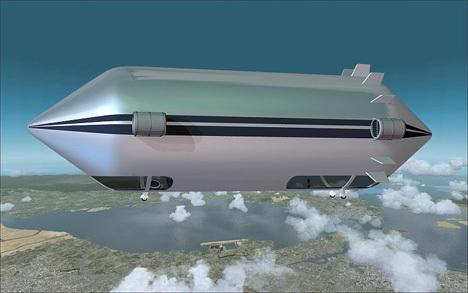 The helium-filled airship is going to be fueled with an algae-based biodiesel. Its 1/16″ outer shell is made of super-strong Kevlar, the same material used to make bullet-proof vests. E-Green Technologies hopes their commercial airship fleet, which is currently in development, will eventually be used for broadcasting and military applications. But far from being a purely industrial endeavor, the airships will also be able to carry tourists as they float along at 20,000 feet above the ground. See more in Mass Transit or under Transportation. June, 2010.